Glen Manor - 76 4TH ST - NEWLY REMODELED - Pictures coming soon! Newly remodeled condo! 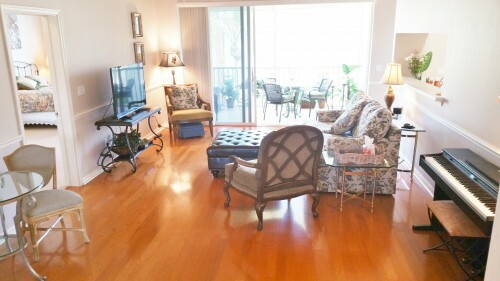 2 bedroom plus Den (with sleeper sofa), 2 bath condo located in the quiet and close-to-the beach community of Glen Manor. Enjoy 2 pools with spas, nice landscaping, wood and tile floors throughout, vaulted ceilings, stainless steel appliances, updated washer & dryer, and a spacious master suite with a walk-in closet. This second floor residence is only 1.5 miles from Bonita Beach, and offers convenient access to restaurants, shopping, marinas, and golf. 'Just Call Pat' at 239-707-9393 today about this delightful, new to the market residence! Glen Manor - 76 4TH ST #5-201 - 2/2 - This attractive 2 bedroom, 2 bath condo is located in the quiet and serene community of Glen Manor. Enjoy 2 pools with spas, nice landscaping, plus wood and tile floors throughout, vaulted ceilings, stainless steel appliances, updated washer & dryer. The spacious master suite has a walk in closet. This second floor residence is only 1.5 miles from Bonita Beach, and offers convenient access to restaurants, shopping, marinas, and golf. 'Just Call Pat' call about this delightful residence today! Central Garden Condo - In the heart of Naples, FL - Enjoy this 'Olde Naples' condo conveniently located near Naples finest beach! First floor! Walk out to the heated pool from your residence! Stroll to world class shopping and dining on Fifth Avenue South, or to the main library, medical facilities, and Starbucks. The Central Garden community boasts a sauna by the pool and BBQ grills among lush mature landscaping. 2- BED 2-BATH MASTERPIECE! AT GRANDEZZA - This is a "Work of Art" in Sabal Palm at Grandezza! 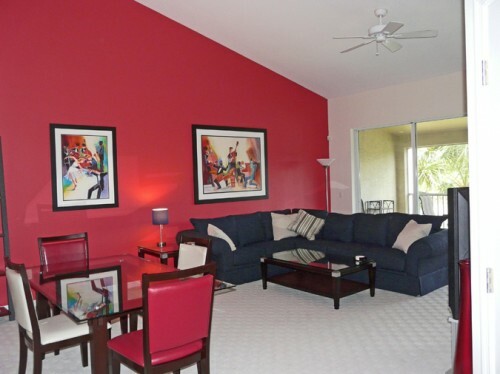 Enjoy upscale living in this beautiful 2 Bedroom, 2 Bath plus an open Den. This spacious residence features stylish furniture and beautiful "Artwork" for your total relaxation and enjoyment! For a nominal transfer fee one can enjoy the Social Amenities in The Club at Grandezza. Book now and enjoy this "Artful" masterpiece in the Winter or Summer! For details, "Just Call Pat" at (239) 707-9163. 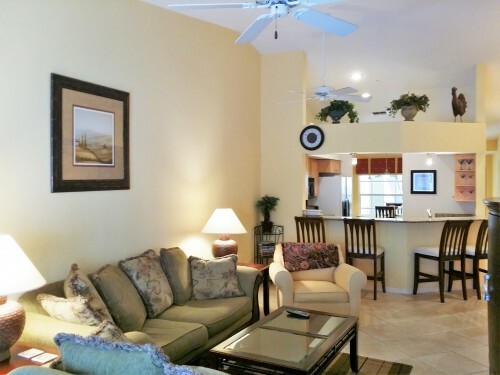 Spanish Wells 2 Bedrooms + Den / 2 Baths - Morning Sun and Afternoon Shade! Charming condo in Spanish Wells! Comfortable 2 bedroom plus Den, 2 bath condo with beautiful upgrades. Home is located on the second floor with high vaulted ceilings, giving an open and airy feeling. Open floor plan with separate living/dining room, breakfast bar, and large foyer. Enjoy your private screened lanai, showing off the stunning view of the lake. The private community pool is within walking distance, and Spanish Wells clubhouse and driving range are at the end of the street, with 27 holes of golf, gym & tennis, huge dining area and grill. Many Additional Amenities available with optional Membership to Spanish Wells Golf & Country Club including Tarpon Cove Yacht and Racquet Club Amenities. You can drive to the beaches, shopping malls and great restaurants within minutes! Just call Pat 239-707-9163.